Who says eating healthy is boring? Well I pulled out this waffle maker that I bought last year at Macy’s for their Black Friday sale, and I think I used it once in a year! But it was $10! How do you NOT buy it? I have messed up so many pancake recipes in the past I figured as long as the batter is thick enough, I think this will work. It did and it was great! This recipe is made one full size waffle and one mini one, so you would need to add just a bit more if you were making 2. Probably another egg and tsp of coconut flour. 1. 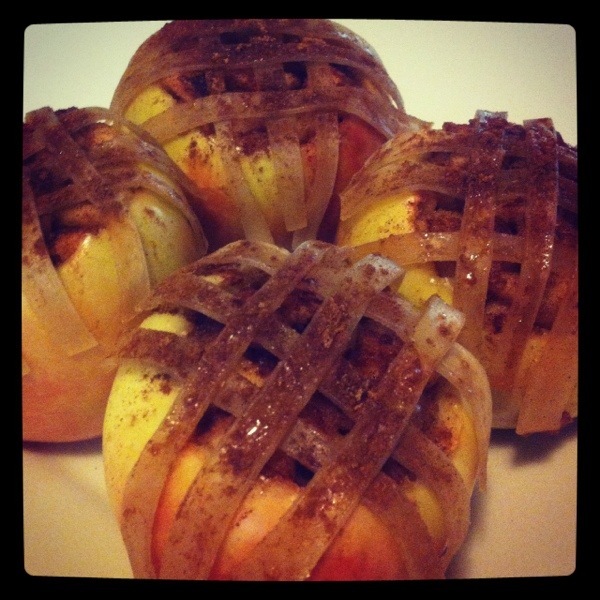 Cut your apple into small pieces (no skin) and put in a small baking dish. Add the cinnamon and mix around. Bake this for about 10-15 minutes until soft. 2. While your apples are baking, put all other ingredients into a small food processor or bullet and mix until creamy. 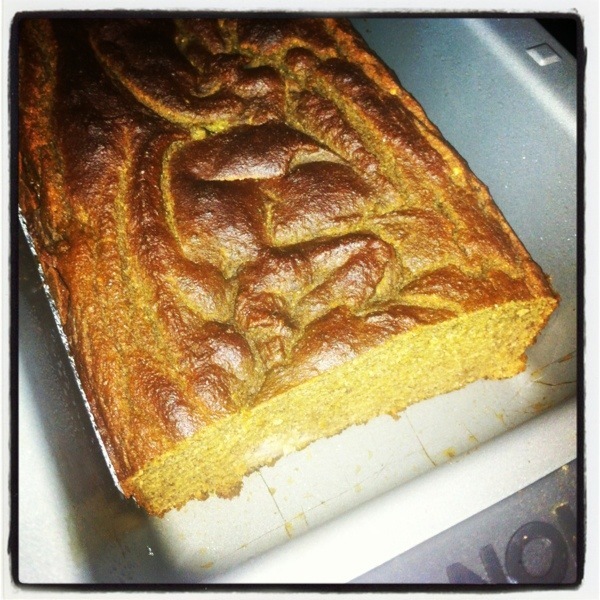 If its too liquidy, just add a little more coconut flour. 3. Pour batter into waffle maker! I topped my waffles with a little warmed up coconut butter and then the apples. Perfect breakfast that’s super healthy and looks beautiful! 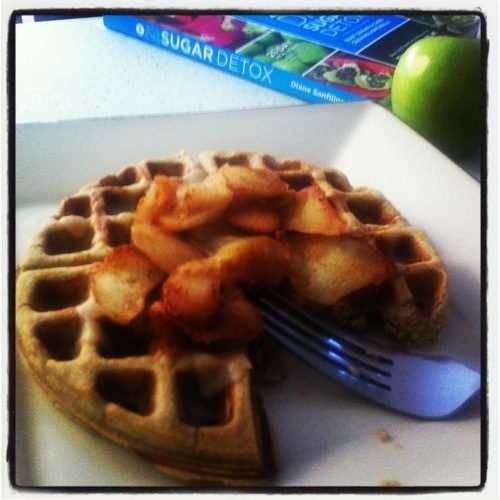 Posted by paleoyummers on December 5, 2013 in Breakfast, Sugar Detox approved! I am a cooking queen today. I made 2 side dishes, a new chicken dish, and a dessert today. 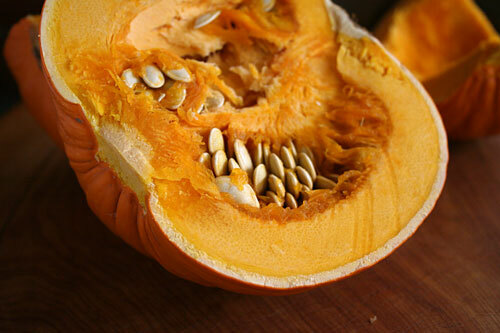 Plus I want to try to make a paleo pumpkin cheesecake, but I will wait till Wednesday to do that. That way we can bring to Thanksgiving and not eat it all here. Hopefully it taste good and people actually like it! I will post after I make that one too. 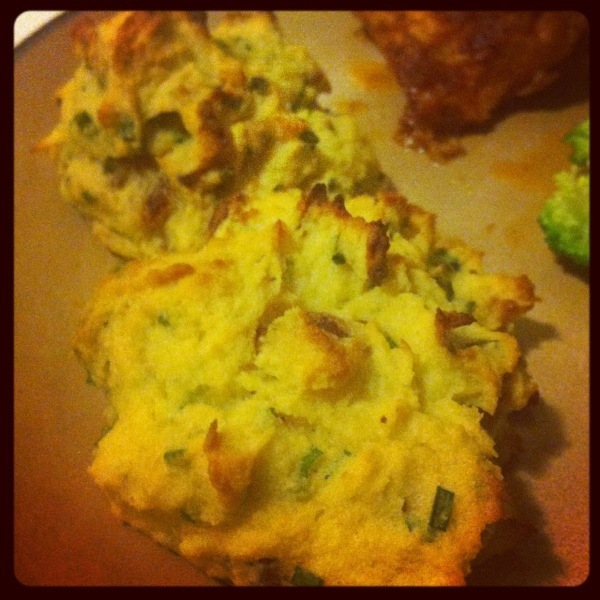 These bisquits were pretty easy to make and are a great side dish at dinner when you are missing a roll, bread, or bisquit. 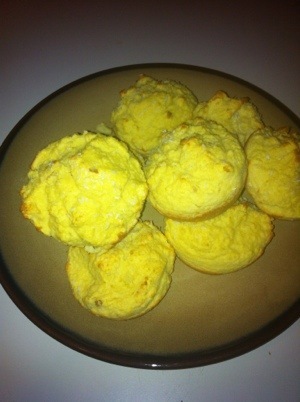 These would be amazing with some grated chedder cheese added, but I decided to go strict and see how they turned out. Really good! Bake the sweet potatos about 30 mins at 350. Till they are nice and soft. When those are done, peel the skin away and mash them up into a large bowl. Add your eggs and mix well. Make sure to mix together completely or when you add your bacon fat they will turn into scramble egg mash! Slice up your bacon into little pieces and cook until nice and crispy. Set aside on a paper towel to drain. 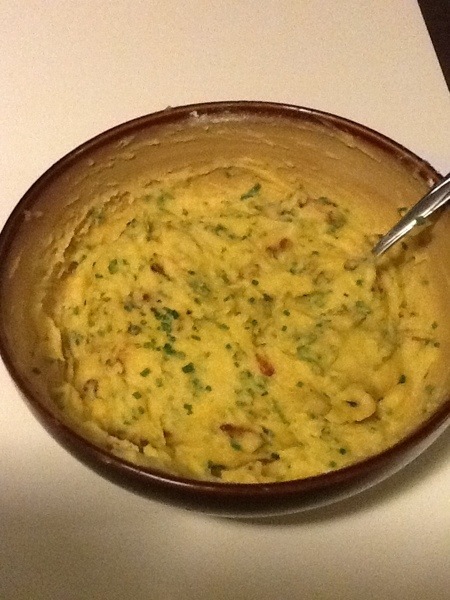 Add the bacon fat to the sweet potato mixture and mix together well. Now add your dry ingredients, coconut flour, baking soda, salt and pepper. 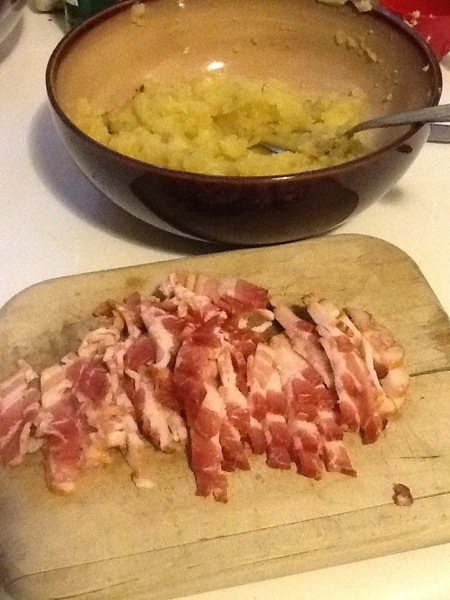 Mix together well and add chives and bacon and mix all ingredients together again. Line a baking sheet with parchment paper and use a large spoon to drop your bisquits on your sheet. Try to make them all the same size so they cook evenly. Cook in over at 400 for about 22-27 minutes. Let rest a bit and then enjoy! 4 large apples- I forget what kind I bought but they were so sweet and yummy. Take the apples and scoop out the middle. I took a melon ball scooper and pretty much scraped the entire inside of the apples. 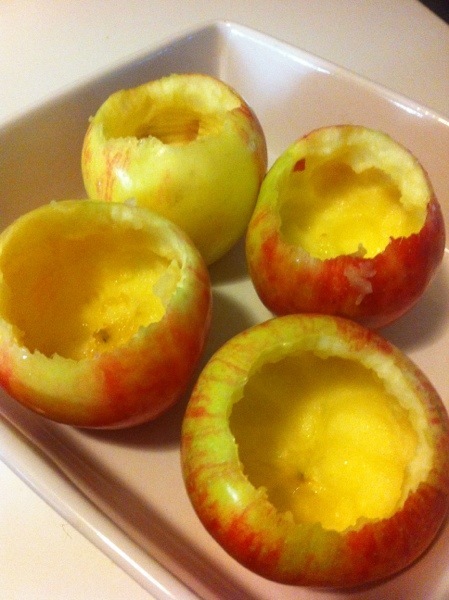 Put all the scrapings into a bowl and when your are done with all your apples, chop them up into smaller pieces. In the meantime, take about 3-4 pieces of gluten free lasagna and cook so they are done. You want these soft, so more then al dente. When they are done cut them into like 1/2 inch pieces that are long enough to cover the apples. Take the apple filling and add the maple syrup, coconut flour, and cinnamon. Blend together until well mixed. Take the mixture and fill your apples up to the rim. 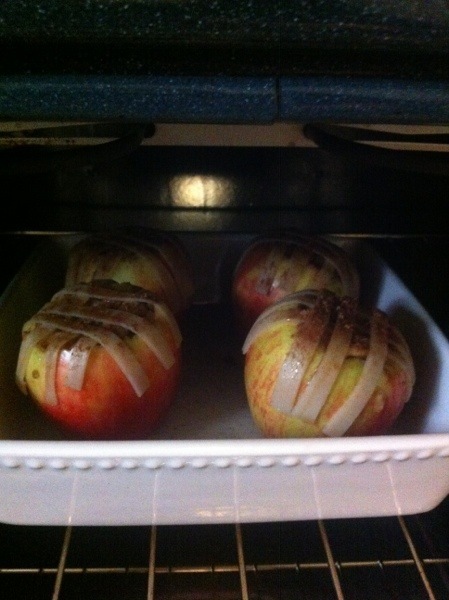 Take the pieces of the lasagna and lay them over the apples, 3 in each direction. Sprinkle with a bit of cinnamon and I also sprinkled with some coconut sugar. What’s that? Its amazing is what it is. Go get some… Whole foods. The best thing to put in coffee. Ever. Put the apples in a glass baking dish and pour a little water on the bottom, enough to cover the bottom but not too much. Bake at 350 for about 35-40 minutes. NOTE: The lasagna ‘crust’ is pretty crunchy when this is cooked. You could always use Filo dough if you wanted, but then thats not quite paleo… so just dont mind the crunchiness and your all good. I’m back! Been a while since I posted anything new so this week I am going to post at least 4 new dishes. Starting with a treat, that is not so much of a treat since it came off the 21 day sugar detox plan. So its pretty damn healthy. I did put in some raisins (such a rebel) which makes it not sugar detox free, but certainly makes it paleo and WLC okay! This Whole Life Challenge thing has been much more of a challenge then the Sugar detox or the Paleo challenge. Not sure why… maybe just lazy to stick exactly to the rules? I keep screwing up on minor things. But I still have 6 weeks to go so its Monday and the start to a new week- I am ready! Preheat oven to 350 degrees. 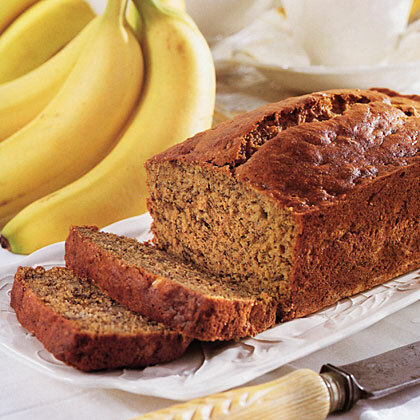 Whisk the eggs, oil, pumpkin puree, vanilla extract, and banana in a food processor. If you dont have one by now, your seriously missing the cooking boat. Go get one. 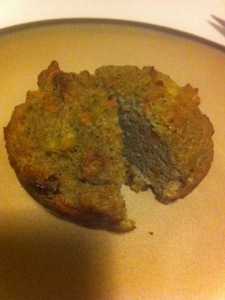 When they are all mixed together sift in the coconut flour, salt, baking soda, nutmeg, and cinnamon. Mix together and then add the raisins and carrots. 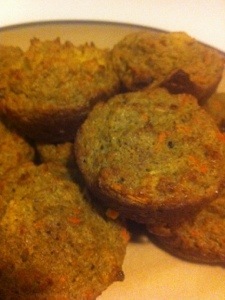 Grease your muffin pans and scoop enough to hit the top of the pan, about 1/4 cup each. Cook for about 30 minutes in the oven and your ready to go! Eat them for breakfast or just for a little treat. So we are winding down this 21 day sugar detox. I am scraping here to make some treats. This actually sounds better then it was, BUT it is pretty good. For the sugar starved individual like myself. I only have 3 days left so I am making the best of it! I just eyed all the ingredients so it may be a little off so just play around with it. Mix all ingredients together. Mash up the banana nice and fine or you can just throw this all in a mini food processor. Coat your pan with coconut oil so the pancake doesnt stick. Pour in and wait until you see little bubbles at the top. Flip over and cook until finished. Top with organic butter or melted coconut butter. After this SD is over, I am going to add a tablespoon of honey to the batter and top with raspberries and coconut butter. That will be amazing. But these are pretty good. Not very pretty, but pretty good! These are great to add to a dinner dish or even have with breakfast. If they were bigger you could make a little egg mcmuffin with them! Easy, light, and yummy. Preheat oven to 400 and grease muffin tins. Whisk the eggs and melted coconut oil. 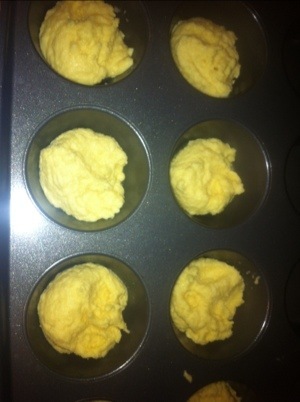 Sift in the coconut flour and baking powder until blended. 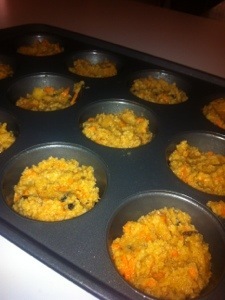 Fill in the muffin tins about 1/2 way and this should make between 6-8. Bake for about 15 minutes until barely brown on edges. Pop out and eat!